Problems with your garage door are always going to be a massive inconvenience. They might compromise your property’s security and prevent you from accessing the garage. 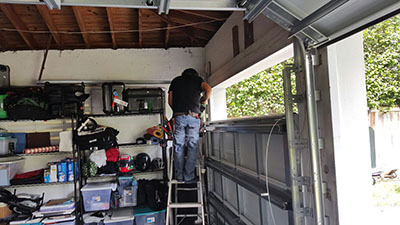 We are here to help you with any issues that you might have by offering a top-notch garage door repair service. From damaged springs through to broken panels and emergency repairs. All of our technicians understand that being allowed to work on your property is a privilege that should be respected. That’s why they have been trained to always place the needs of the customer first. We provide quality work that will enhance your door’s lifespan and ensure you don’t need to carry out as much maintenance work in the future. Your garage door uses a series of rollers to operate correctly. If any of these gets broken or misaligned, you may find that you struggle to open the door. Worst of all, lost rollers can compromise the door, making it unusable. Our technicians have access to rollers from all brands and for all makes, meaning they can carry out repairs and replacements that will get the door working again in no time. Broken panels can cause all sorts of issues. They create vulnerabilities that may make the contents of your garage accessible to the elements and wildlife, plus they can compromise the security of the entire home. Even if the issue isn’t that extreme, they still ruin the visual appeal of the garage. We are able to repair and replace panels of all types and our technicians will make quick work of the problem. You can rely on us to provide a speedy service whenever you experience an emergency situation with your door. We understand how important it is to get your door in working order again and will do everything we can to make that happen quickly. Call Garage Door Repair Tucker today if you are experiencing any issues at all with your door. 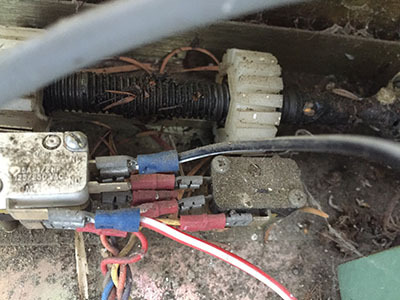 We will find the problem and solve it for you in no time.